I’ve learned the inspiration for this annual event was a prairie concert planned by Jane Koger, a rancher near Matfield Green, in 1994 for her birthday. She organized an all-woman orchestra to perform in the natural amphitheater on her ranch and invited her Chase County neighbors. Over 3,000 people showed up. 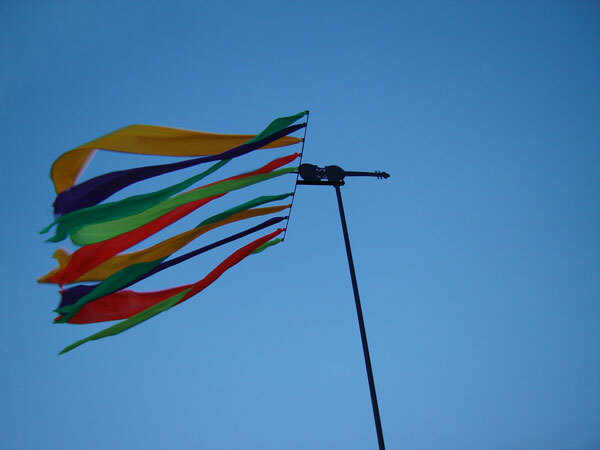 The event’s success led area leaders to form Symphony in the Flint Hills, Inc. a decade later, with the inaugural concert in 2006.Although the draw is the Kansas City Symphony performing as the sun sets over the rolling hills, this event is so much more. Executive Director Emily Hunter told me the concert gives people a reason to come into the hills, and they leave with a heightened knowledge and appreciation of the area and an emotional connection of the heart. Beginning in the early afternoon, I’ll walk the trail to the concert site, enjoying the wildflowers, native grasses and splendid scenery along the way. Since there’s little public access into the Flint Hills, the event is held in a different location each year, on private land, so visitors can view more of the region. I’ll ride in a covered wagon, take a guided prairie walk, and then listen to presentations on the tallgrass prairie, area and frontier history, prairie arts and culture, and ranching. After the concert, I’ll gaze at the stars through a telescope, sit around a campfire listening to stories, poetry and music, and maybe even kick up my heels on a dance floor to some fiddle music. What an adventure I will have! 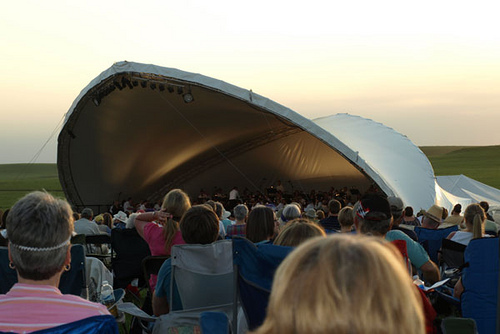 What’s your favorite thing about the Symphony in the Flint Hills? Update: Here&apos;s an update to my blog post with some post-concert thoughts and a slide show of photos I shot over the weekend during my first Symphony in the Flint Hills experience! Click the photo below for more photos. Like all artistic events, the Symphony in the Flint Hills stirred my emotions in ways I never would have imagined. I listened to the educational programs and heard stories, songs and poetry about how the local ranches and communities were founded and continue to survive. With great respect I marveled at the true grit of these people, especially the early settlers after I rode the beautiful – but bumpy - prairie in the covered wagon! Perhaps it was the romance of the cowboy inspired by a lone horseman sitting in the saddle against a landscape of rolling hills while the wonderful symphony performed “Shenandoah” that made the Story Circle following the concert my favorite event. A comfortable number of us sat on hay bales around a campfire with the moon and stars above, listening to the original poetry, tales and music of three modern-day cowboys and a cowgirl expressing their way of life. While reflecting on the wisdom and humor of these stories under the big sky, I noticed another performance… a concert by the creatures of the night, telling their own story of life in the Flint Hills.